Tom Watson MP, founder and former Co-Chair of the Future of Work Commission, has marked the launch of IFOW with a reflective podcast, 'March of the Robots,' which can be downloaded here. Anna Thomas, IFOW's new Director, shares the journey from Commission to Institute here. IFOW Co-Chair Chris Pissarides was the academic advisor for the McKinsey Global Institute's May 2018 report 'Skills Shift: Automation and the Future of the Workforce.' MGI thanked Chris for 'challenging our thinking' in the paper, which builds on 'Jobs Lost, Jobs Gained'. MGI's Director James Manyika discussed the report on the Productivity Panel at the Chatham House Future of Work conference, chaired by Naomi Climer. Chris gave the keynote address at the Royal Society and British Academy March workshop on 'Artificial intelligence and the future of work: Is this time different?' He was joined later in the day by IFOW Trustee Helen Mountfield, who set out the findings of the Future of Work Commission, and IFOW Advisor Michael Osborne who spoke on 'Machine Learning: Humans Learning to Use Machine Pedantry'. Michael drew on his recent Future Skills 2030 research with Nesta. 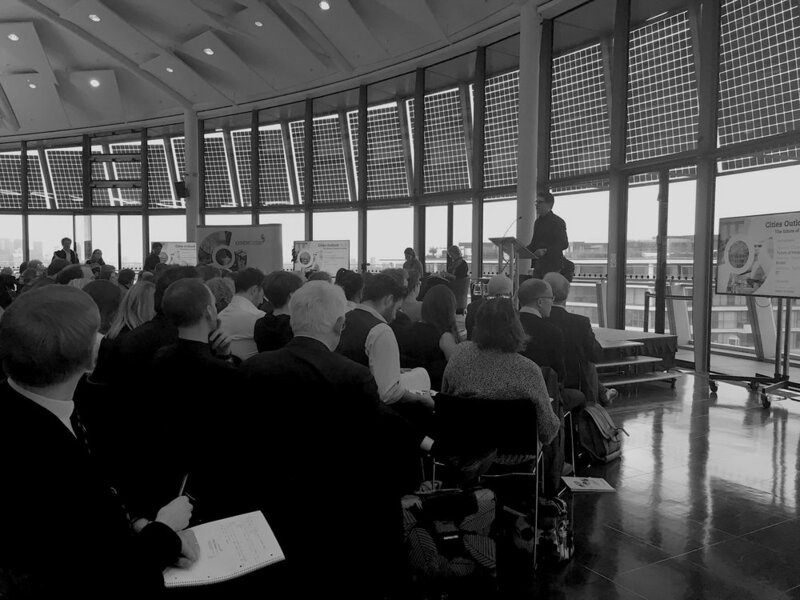 Naomi reviewed and helped launch the Centre for Cities annual Cities Outlook 2018 report held at City Hall. The report, building on Michael's research, highlights the types of jobs that are likely to diminish, and those likely to grow, in cities across Britain. A podcast of the discussion entitled 'City Talks: The impact of automation' is available to listen to. Probing amendments exploring potential new workplace rights to algorithmic fairness, algorithmic impact assessment and a new ‘right to an explanation’ drafted by Anna, Helen and the team were tabled and debated at Committee stage of the Data Protection Bill 2018. Consultation on the proposals is underway. IFOW Advisor Daniel Susskind's recommended TED talk entitled '3 myths about the future of work (and why they are not true) is now available online. IFOW Trustee Dr Nadia Dhanash has announced the winners of 'Our Place in the World'. The Future of Work challenge was launched in 2016 by InnovationRCA and UnLtd, in partnership with Tom & Claire Shutes and the Future of Work Commission. The winners were Zahra Davidson and Harrison Moore who each won £15,000 seed funding, together with 12 months of incubator space, support and mentoring at InnovationRCA, to develop and grow their social impact start-ups. This year’s challenge will be ‘The Future of Grimsby.’ Watch this space.